This is The Kingdom of Great Britain! We are a British themed region which operates in a Constitutional Monarchy Style. The above is our header which you can find all the information about in our region. The region is led by King Henry IX and his heir is the Prince of Wales, Charles Lancaster-Stuart. Our executive government is led by the Prime Minister who is elected from the House of Commons, by the House of Commons, and then confirmed by the House of Lords. Elections for Constituencies within the House of Commons runs on a 2 month schedule. The House of Lords is led by the Lord High Chancellor while the House of Commons is led by the Rt. Honourable Speaker. The Citizens' Assembly is the region's General Assembly equivalent in the World Assembly. This area is for budding legislators to test their writing and debate abilities and get their feet wet before running for Parliament. The Assembly is overseen by the Crown Delegate and is led by the Assembly Chairman. Our Great Officers of State are positions appointed by the Monarch to carry out particular important tasks for the region or Royal House. The Principle Private Secretary assists his Majesty in drafting and issuing formal statements from the Crown or Royal House. The Lord Chamberlain acts as the Lord-in-Charge of maintaining the Royal Household and all of the House of Stuart's Family Records. The Lord Advocate acts as his Majesty's lawyer and provides his Majesty with legal advice when necessary. The Director-Genernal of MI5 ensures the region remains secure internally through background checks and other various tasks. Last edited by HM Department of Education on Tue Apr 16, 2019 1:13 am, edited 11 times in total. October Update: What's KoGB Been Up To? The House of Commons was incredibly busy this term continuing to debate legislation revolving around Constitutional Amendments intended to bring more clarity to our sometimes confusing Constitution. All things which originated or was brought to the House of Commons was debated upon and either passed and brought to our King for assent, or passed and brought to the Lords for further debate with intention to be passed and brought for assent. The House of Commons continued to be a body of interest in the region for riveting PMQs keeping our Prime Minister on her toes and the government constantly being kept accountable. Near the end of her term, Prime Minister Rikki resigned from the region. Her Deputy at the time, Arnold Stuart, assumed the position and received confirmation of confidence with the House of Commons. He finished the term strong, setting the stage for the upcoming election for the new House of Commons and new Prime Minister. Aside from the House of Commons continuing to keep the region interesting, a week long festival occurred celebrating the region's 5th year anniversary, ending with the closing of Parliament and King Henry's speech and jubilee honours! This day marks one year since I succeeded to the throne of this realm, left to me by my departed brother Victor. It has been one year since the great trial and crisis which struck this region we all hold so dear to our hearts low. One year is a long time on NationStates. I would like to express my gratitude to Prince Charles for his good advice, companionship and service as Lord High Chancellor and as Prince of Wales during the past year, as well as to many others. If I started now, I might be done by the year's end, so I'll avoid this speech being too long and say to all of you: Thank You! for your interest, hard work, and dedication. The year has come and gone, but now we must pull together as a region and work towards the future. The recent struggles and strife in Parliament has concerned many of you, and I have heard those concerns. I do not offer a platitude, but instead encourage all of you, each and every citizen, to consider your position within this region. You want better from your MPs, from your Lords, from your government, don't you? I know I do. I can only do so much, however, given my position. I encourage you all to run for election, join the Civil Service and the Marines. Serve the region, and serve the community that you love. Through hard work everything is possible, and we must remember this at all times. Thank you all again, so very much, for the hard work and dedication. Long Live the Kingdom of Great Britain! Long Live its people! The Hon. Education and Culture Secretary Madeline Valois, Dame Companion of the Order of the Bath, Distinguished Service Order. Allow Us to please provide more detail in this particular instance and explain Our reasoning for the honours above. The Duke of Clarence and Aquitaine, as you all know, has long been a loyal member of this region. His service to the Crown through two successive monarchs is deserving of reknown, but these last few weeks have been particularly trying. Our grandson is noble to a fault, he does not like politics, and never has so far as We know. He took the position of Deputy Prime Minister as a favor to the former Lady Eythorne, with the understanding that most of his work would be behind the scenes. Upon Lady Eythorne's resignation, he was faced with a difficult dilemma. His previous service in the House of Commons was limited to backbench roles, and while he has had service in the Lords as Deputy Lord High Chancellor, he never sat upon the woolsack for very long. A lesser man might have refused to serve as Prime Minister, but not Our friend the Duke, who took it upon himself the heavy burden of Ten Downing Street, and served well for the final two weeks, preventing a potential fiasco in parliament and an election which might have destroyed the region. His service may not have been particularly long or exciting, but a stable leader is what we needed and is what we got. The Honourable Speaker, Our well-beloved Cousin, William Stuart, returned to Our busom after a lengthy absence. Perhaps he remembers the young upstart MP with whom he had words on several occasions, and not all of them kind. Regardless, he has returned to us, and rather than shirking duty he threw himself into the leadership of parliament. Having been a former Speaker of the House Ourselves, We sympathize with his role deeply. It is often difficult to divide the House and keep MPs in line and following the Standing Orders and Decorum at all times. His excellence of service in this regard is welcome, and sets the example for you all to meet. The Honourable Foreign Secretary, the Earl of Carlisle, has again proved his excellence. While a Member of Parliament, his strenuous and principled debates were attention getting while refraining from personal attack and fighting for what he believes. As the Foreign Secretary, Lord Carlisle overhauled the seriously damaged and largely ignored system. While We at times disagree with the Earl, We recognize that this is a good thing. Politics at its core should be about competing ideas, not competing personalities, and what Lord Carlisle showed the realm this term is that it is indeed possible to be both a good politician and a good man. Finally, as far as Honours go, there is the Education and Culture Secretary. Many of you might not know this, but Madeline Valois began this term with the odds set against her. Each time the bar was placed, she climbed over it and on several occasions picked up the slack under both administrations. Her busy social life notwithstanding, she got her work done ahead of schedule, and hosted a wonderful festival to commemorate the fifth anniversary of Our realm's founding. Thus, We elevate her to a Dame Companion of the Order of the Bath, and pin the Distinguished Service Order upon her chest with pride. If you don't mind, We would like to turn your attention to another member of the Thirty-Third parliament whose service We wish to honour. His name is Asce de Vitre, and he is the Baron of Chepstow. Lord Chepstow has been a member of this region for longer than many realize. He was a member of the parliament which drafted Our constitution, and for that service in Our time of need was raised to the peerage. Today We wish to raise him again. Lord Chepstow has always been a character. His service in both Parliament and the Assembly show him for who he is: a radical leader who understands the needs of the people. He is a democrat. He fundamentally believes that the absolutist institutions of the past are best placed in the past. He has often been challenged, but has never relented. His persistence, his desire for change, and his honesty about his beliefs should be a message to all. Lord Chepstow's service is just not limited to parliament. A competent and confident roleplayer, this term Lord Chepstow entered into government to help build the Kingdom of Great Britain's roleplaying sphere. Roleplay is an essential component to culture building, to solidifying the community and to exploring the one extant part of humanity that all share: a great love of storytelling. Lord Chepstow, then, after conversations with His Royal Britannic Highness the Prince of Wales, is hereby raised to the state of Viscount Peel, of Peel Castle on the Isle of Man. Letters patent shall be posted for organizational purposes at Edinburgh Castle for those who wish to view them. In addition to legislative and governmental dealings, His Majesty's Royal Marine Corps was revived by Commandant General, and Prince Royal, James Stuart. This is not the Commandant's first time leading our military and this time he has a group of dedicated citizens willing to raid and participate in any operations thrown at them. Over the last month, the military has been quiet with minor training operations and increasing our numbers, as well as reaching out to potential military organizations. Our fearless leadership will continue to find new potential military organizations to work with and allow us to train our new recruits from the basics to the art of triggering and pointing. We are excited to begin new operations within the next couple weeks! The election for the House of Commons began with the King announcing the number of seats available going from seven to five. This came from the noticing of reduction in regional activity and to ensure those elected are the best possible candidates for the region. At the end of the election, James Stuart was made Speaker of the House and Madeline Norfolk was made Prime Minister. So far within the government, Prime Minister Norfolk has hit the ground running with many organizational plans as well as a change in the way cabinet members work and work together. 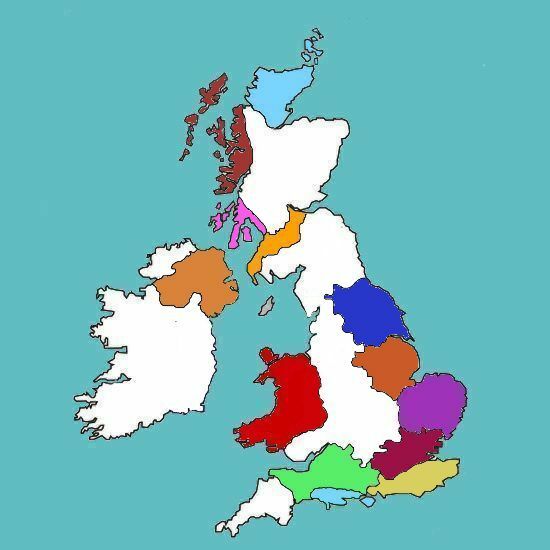 The regional Roleplay, a nation centered rp taking place on the British Isles in the 1920s has continued to gain more and more members, with an in character competition announced revolving around national and international culture! We are currently at 11 nations on our map, and have even experienced a couple miniature wars and some diplomacy! Shortly after the resignation and leave of John Laurens as BBC Director from the previous term, Orion Brann Norfolk stepped up to the plate and has been working with his BBC Staff to create the first issue of the BBC in a long time. We are excited to see what is in store and look forward to seeing the BBC become a more prominent figure within the region. The previous Home Secretary, Chiiinnna VerinGuard, was replaced by Bailey Lucullus Norfolk who has already made his mark by his commitment to the Citizenship Registry, which has been further improved and added upon in the most comprehensive ways to ensure all citizens are able to check if they themselves are in compliance, which at minimum requires a living citizen nation in the region and a forum account which has been online within the last 30 days. Our Prime Minister is currently looking for dedicated citizens interested in the position of Foreign Secretary. Our current member has been plagued by the disease which plagues much of the Nationstates community... education. And as such has forced Foreign Secretary Francis Stuart to go on an indefinite leave of absence. The remaining government members have been assisting the Prime Minister in the duties which the Foreign Secretary requires such as the drafting of this lovely update. In addition, by elections held for the positions of Mock Parliament Chairman and the constituency of Wales in the House of Commons, following a resignation of the previous chairman and a Vote of No Confidence on the previous Honourable Member of Wales for inactivity. We are happy to announce that Andree Wessex has been elected into the House of Commons as the constituency representative of Wales and Zengel Pigwig-VerinGuard has been elected Chairman of the Mock Parliament!!! Within the Judiciary, both Associate Justices, JJ Douglas and Georgiana Stewart, have been removed by the House of Lords for both inactivity within the Judiciary and due to their losing of citizenship within the Home Office. Their replacements, while not yet publicly known, are projected to be stunning members of the community who shall be complements to our Chief Justice and reflect positively on the region as a whole. The executive government has succeeded in creating an updated Foreign Policy to continue to promote the ideals of KoGB. As such, it is recommended to all our allies to review this policy as well as contact the Prime Minister for any questions or concerns regarding Embassy and Consulate updates. All embassies and consulates have one week to be in compliance with our policy or to begin discussions with the Prime Minister regarding relations before the proper processes to reduce relations shall occur. We are also beginning a new Foreign Affairs Outreach program and look forward to the future relations we shall establish! 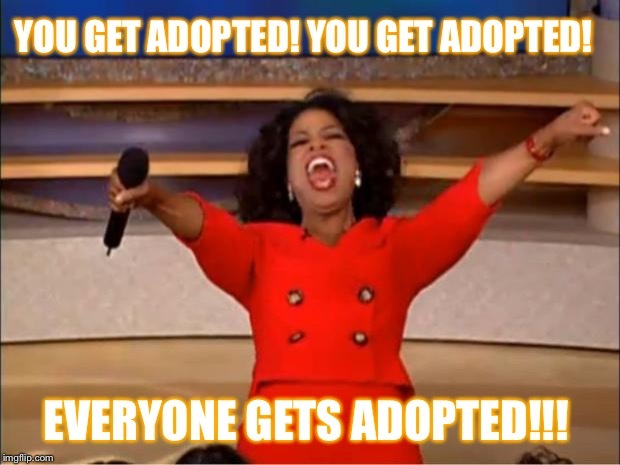 You Get Adopted! And You Get Adopted! Not everything in the region needs to be serious, and these adoptions are no exception. Over the last three months, we have seen more adoptions into the House of Stuart as well as other non-royal Houses within the region. After the marriage between Madeline Norfolk and Edward Stuart, the two welcomed three boys into the world with twins Orion Brann and Alexander Christian Norfolk-Stuart followed by the youngest of the three Bailey Lucullus Norfolk-Stuart. Orion Brann has been declared the rightful heir to his father's possessions, estates, and titles. Prior to the newest session of parliament, Alexander and Jaydee Arche-Bonaparte-Stuart welcomed a new son into the world, Smith Ashton Arche-Bonaparte-Stuart. More recently, the Prince Royal bid goodbye to his beloved son, the Honourable Arnold Stuart and welcomed him again as his cousin's son. Charles Lancaster adopted Arnold in hopes for a positive outlook on the fate of the remains of the Lancaster estate, as well as a proper heir to all the things the Prince of Wales has obtained during his time in The Kingdom of Great Britain. The adoptions don't stop there! House de Vitre also welcomed a new family member. Peter John de Vitre has adopted Kurtis Ellison, who is now known as Kurtis de Vitre. Following the adoption, patriarch Asce de Vitre announced the de Vitre line of succession in the event he, or any other members of the de Vitre House are to pass. It has been a pleasure to bring you this update of KoGB! May it give you all the needed information over the last few months and we hope you shall tune in again for another update to read at the end of the month! Fancy formatting and all but don't you already have a forum thread? Malphe wrote: Fancy formatting and all but don't you already have a forum thread? Focus on them doing good. They didn't post a picture as the update for once, so good job KGB (still a waste of the acronym). As always, I'm representing myself as a citizen, rather than as part of the Government, if I am at the time. You are not wrong! We did in fact have a forum thread. However since the owner of the nation which was the OP of the thread CTEd and stopped being involved in the region, we thought it necessary to start a new thread, and one where we can give the updated information without forcing people to pour through pages of text just to see who the Prime Minister is. I know what you're going to say, "Ummmm the original poster's nation is alive though" and again you are not wrong! However upon requesting the original thread to be closed, the nation had been CTE for quite a long time and we did not want to put the owner of said nation in a position of keeping the thread up to date or making edits when they were no longer involved. I think you can request an OP change. There is no right or wrong in our profession. The present changes the past from moment to moment. Only pray for the future to vindicate your action. November Update! We can edit now??? The 34th Parliament was very busy throughout the term both in legislation and administration. The infrastructure of the Commons went through recent change as one member was removed via Vote of No Confidence for inactivity and a new speaker was chosen after the original for the 34th session suddenly resigned the position. The House of Lords also voted to remove both Associate Justices of the Supreme Court for inactivity. They have since been replaced by the Lords with two active members of the community! Legislation was drafted and discussed on a constant throughout both houses of Parliament and many passed both houses including the repeal of a treaty with League of Regions, the establishment of friendship with The Britannic Kingdom, cutting repetitions and ambiguous language out of the Constitution, and specifying what happens to a government member and a Justice should they lose citizenship. Some Legislation did not get through both houses. A bill regarding referenda in the region was struck down, an amendment to the constitution that changes all "Imperials" to "Royals" was struck down. Bills that were started in the 34th terms that have carried over to the 35th include the controversial AntiFa policy which will officially establish the Kingdom of Great Britain as part of a coalition against Fascist/Nazi regions. The Treaty of Loker-London, a treaty of friendship between Kingdom of Great Britain and Hartfelden, has also been carried over into the current session. Overall, Parliament is active as ever and running full steam ahead. It will be exciting to see where they go in the next months. This begins, of course with a departure in tradition. Usually under these circumstances it is Our custom to issue knighthoods to the Government first, but, this time, We instead choose to honour three notable individuals for their service in the military capacity. Our Corps of Royal Marines has oft been ignored at these ceremonies, but with its revitalization under the Commandant and Deputy Commandant of Our Corps, We hope sincerely that from here on out the military may do more things worth rewarding. First shall be the Commandant, Our beloved Son the Prince Royal, who did work completely unkown to many, including Ourselves, until recent events caused Us to look deeper into what little records existed in the previous HMCRM subforum on the old forums. Thus, he is being granted the Military's highest honor, the Victoria Cross. The second military award goes to Lady Madeline Norfolk-Stuart. Lady Madeline has worked extremely hard rebuilding Our military which was struck low so long ago. When she started her work she was barely out of her cadetship, a Lieutenant of the Marines, and through dedication and sacrifice she worked her way up to the position of Deputy Commandant and has continued to further Our Corps of Marines' associations with other military organizations. For this and her service in the field of battle against Our enemies abroad, Lady Madeline Norfolk-Stuart is hereby granted the Distinguished Conduct Medal. Last but by no means least, We wish to recognize Our great-nephew, His Royal Highness Prince Arnold, the Duke of Clarence and Aquitaine, for his service as the director of MI5. His labours are not well known to many of you, Our subjects, but We shall explain them now. His Royal Highness' work concerns the security of Our realm. All citizenship applications which past through the Home Office are subject to his approval, and in concert with the Home Office in particular and the Government in general, he provides valuable and necessary security and intelligence to keep out those who would do this community harm. Therefore, HRH the Duke of Clarence and Aquitaine is hereby granted the George Medal. The Right Honourable Prime Minister, in her wisdom, has suggested the following persons for knighthoods for their services to the Realm during her time in government, and for her own services she is granted the Honour of Lady of the Order of the Thistle. The Honourable Home Secretary, Bailey Lucullus Norfolk-Stuart, is hereby made Companion of the Order of the Bath. His Royal Britannic Highness the Prince of Wales and His Royal Highness the Duke of Clarence and Aquitaine are also to be granted further Honours. This term has seen the notable lack of a Foreign Secretary. The Foreign Secretary is an important role, ho, in particular, individuals in particular have stood up to fill the gap. HRBH the Prince of Wales and his beloved son, HRH the Duke of Clarence, have worked particularly hard this term in the field of Foreign Affairs outside of their usual duties. Therefore, at the recommendation of the Prime Minister, they have been granted the Honour of COMPANION of the MOST DISTINGUISHED ORDER OF SAINT MICHAEL AND SAINT GEORGE. The Prime Minister has also recommended The Rev. Kurtis De Vitre, The Most Reverend Archbishop Albert Stuart of Canterbury, and Philip Victorious be rewarded the Honour of KNIGHT BACHELOR of the Realm for their service in keeping the forum active and alive during the lean months of the Fall School Term. They have Our thanks for their service, and Our hope that it continues. Finally, at Our own discretion, We hereby award The Honourable Deputy Prime Minister Alastair McIntyre, and Our Principle Private Secretary, the dignity of membership in the IMPERIAL SECRETARIAT AWARD. Mr. McIntyre's service as Principle Private Secretary has been, to use a single word, excellent. He has, since he has been taken into Our service, to be among the best We have seen. We thank him, and grant him this honour in the hope that his service to Us might continue. The election for the House of Commons began where we had six individuals running for the five seats within the House of Commons. Below is an outline of each candidate's platform for those running for Parliament. Madeline Norfolk's platform consisted of increased cultural and regional activities such as game nights, voice chat nights, increased interaction with NS and forum, competition, and renewed effort in the RP. One of the key planks of her platform was to pass the Antifa Policy which had failed in the previous term. She also stated her intent to remain as Prime Minister. Alastair McIntyre's platform consisted of rewriting the Endorsement Act, which deals with WA endorsements and the Delegate. He wanted to keep an eye out and amend any bill, law, or the constitution when he deems necessary. One such amendment would come to the Citizenship Act. He also wanted to rewrite and pass a regional referendum bill. Theodore Lewis Uchiha's platform detailed his goals of facilitating the growth of both a regional library, the university, and other cultural endeavors. He promised not to be a rubber stamp. And to work with them to make sure that we are passing laws that will actually benefit the region. Bailey Lucullus Norfolk-Stuart's platform was to make sure that the public is fully informed, that everything done is in their best interest and that questions are not left unanswered. Albert Philip Stuart's platform was to take a pragmatic perspective to review all governmental policy and vote on proposals based on merit. Introduce an amendment to the constitution and laws where necessary. Also, work and propose a legislative proposal/bill on the administration of educational institution within the region. He also noted his intent on running for Speaker. Andree Wessex's platform was to increase the performance of the BBC, to propose a referendum on the Antifa Policy, to fix the issue of abstention, and to propose a new policy or law allowing the Speaker to punish rule breakers in the Commons. The elections have concluded the winners are as follows - Madeline Norfolk, Ind 15 votes (20.00%); Alastair McIntyre, Ind 15 votes (20.00%); Theodore Lewis Uchiha, BRP15 votes (20.00%); Bailey Lucullus Norfolk-Stuart, Ind 13 votes (17.33%) ; Albert Philip Stuart, BRP 12 votes (16.00%). Andree Wessex, BRP 5 votes (6.67%) was the only one to lose. In the Commons, The British Royalist Party picked up a net gain of one seat after it gained two new members but its one incumbent member, Andree Wessex lost re-election. While the BRP is the only organized party in the Commons, it still does not occupy a majority of the seats. His Majesty called the following to sit in the House of Lords - His Royal Britannic Highness, The Prince of Wales; His Grace, The Duke of Clarence and Aquitaine; His Lordship, The Marquess of Ellesmere; His Lordship, The Viscount Peel; His Lordship, The Earl of Warwick. Albert Philip Stuart of the BRP was elected by the Commons to serve as the Right Honourable Speaker. He has so far not named a deputy but is reported to be deciding one soon. With the seats filled, His Majesty opened up the Parliament. A Government was soon organized, as Madeline Norfolk was chosen to continue her service as the Right Honourable Prime Minister. The Government she organized in the name of His Majesty is as follows - Deputy Prime Minister: Alastair McIntyre Stuart; Home Secretary: Bailey Lucullus Norfolk; Foreign Secretary: Claire A. Arche; Culture Secretary: Artimedias; Deputy Culture Secretary: Theodore Lewis Uchiha; Attorney General: Alastair McIntyre Stuart. With the resounding success Prime Minister Norfolk easily regained her post as Prime Minister and has organized a popular government backed with widespread support. Only time will tell how well this term will fair for the Prime Minister, HM Government, and the Parliament. After the reelection of Prime Minister Madeline Norfolk appointed Bailey Lucullus Norfolk-Staurt as the new Director. The Director has made it clear he intends to have more issues pushed out as well as more citizen interaction with the BBC than in term's past. Within the coming weeks, we should see more articles written in regards to the elections, political parties, interregional politics, the roleplay itself, and much more! The RP world in the Kingdom of Great Britain has gone through its first 20 months! So far, we’ve had a handful of international incidents, but only a few people have died! The first war broke out when a group of terrorists staged a conflict between Alistarton and Wrexham, leading to a catastrophic defeat of the Alistartian 4th army and 5th fleet on the shores of Norweston. In the heat of the early summer months, a new nation sought to make itself known. In a show of force it’s army traversed the earth to the Alistartian border, provoking the start of the great war. Despite its short length, millions were killed before Merdinghaw surrendered to the combined arms of Alistarton, Wrexham, and Norweston. A year later, an international holiday is put into place to remember the dead. War isn’t the only killer of nations though. Over time the nations of Siento, Norweston, Lancaster, and Ulster dissolved into anarchy when their leaders were killed by a mysterious plague. The Queendom of Marrigoldria is searching for a cure to this silent killer. While other nations descend, others pull themselves out of anarchy and into civilization. The new nations of Thamean and Erbilstan have reached the world stage, and are sure to make an impact. P.S. Orion owes me some islands. Recently Elected Chairwoman Claire A. Arche was willing to provide a summary of the Mock Parliament and her intentions for the term! Being the Chair of the Mock Parliament is not an easy task. It carries responsibilities and with it late night worries of the survival of the institution. I made it my cause during the Mock Chair Election to aid in restoring the Mock Parliament’s health as a stable body. Upon confirmation by the Crown Delegate, I took up a portfolio that at one time was being debated for abolishment. The core of the Mock Parliament is the activity of its Chair and the inactivity of my predecessors have resulted in a decline of the body. With this, even the citizenry take the body lightly. There is a rise in activity however it will be a continuous effort to maintain that decent growth. As we speak, the Mock Parliament has a lot on its table. We are amending Standing Orders, confirmation votes and voting on role-play legislation. These shall be completed within the set timeframe. I have outlined a list of legislative agenda readied for the Mock Parliament which I plan to execute together with my Deputy Chair. The Mock Parliament was the first body that really attracted me when I joined the region. It has much potential in a sense that people who are new or without major positions can actually participate in regional governance. Its membership consists of the whole citizenry and thus acts as a platform to call for government accountability. With the Mock Parliament, there is not a need for established ranks and titles to make your voice heard and considered. It is a cherished institution that should be preserved and improved. It has been a pleasure to bring you this update of KoGB! Good morning to all those who are watching or reading this. Today I received confirmation that His Majesty the King has declared war on the New Pacific Order, and and I come before you to explain - both to our citizens and to our allies and friends reading along - why I recommended that such a measure be taken. The King called upon Parliament to deliberate The Kingdom of Great Britain's fate in regards to this war which many regions have entered into. After much discussion and deliberation, Parliament unanimously agreed that war was the best option for The Kingdom of Great Britain. This comes shortly after our friend and ally, Hartfelden, called upon The Kingdom of Great Britain to act and assist. The Kingdom of Great Britain, therefore, declares war onto the New Pacific Order. For too long the NPO has been allowed to hold the Pacific hostage as they destroy alliances, harbor dangerous players, ruin communities, and cause unnecessary division between Game Created Regions and User Created Regions through their ideals of Francoism.&nbsp;As more and more is revealed regarding the strife it has caused in other regions, it has become clear that the NPO must face the consequences of its misdeeds, and be put to a long-overdue end. I have confidence in the many regions already fighting this fight, and I have confidence in both my fellow citizens and the citizens of our allies and brothers in arms. I have confidence that the military of The Kingdom of Great Britain shall rise to the occasion, and ensure we offer whatever support we can to the coalition which shall bring the NPO to its knees in defeat. I have confidence that the people of this region will ensure the home front remains a positive and inviting environment, to continue to foster positive relations between members and guests of the region. We will not rest until the NPO has been brought to an end and it is with the help of fellow players, the drivers of the communities at large, that we shall succeed. I ask any regions which are hesitant to take a stand against the NPO to imagine how they would feel if they were in the positions that so many regions have been placed into. Even if it is a simple denouncement, in the end, it will make all the difference. NPO is dangerous and will continue to be a danger to the community at large until they are stopped. I ask any citizens who are hesitant to involve themselves in this war to remember that war means more than military numbers, it requires a strong community at home and able-bodied&nbsp;citizens keeping things going to ensure success. This government will be doing everything we can to keep citizens involved in all things we are doing. And that continues today. Last edited by HM Department of Education on Wed Nov 28, 2018 4:44 pm, edited 1 time in total. Always good to see another one of my former homes joining the good fight! Jakker jacked Vinny’s internet jack with his mod god powers he got from Mall. Welcome to the bandwagon, I hear they have cookies. Welcome aboard my new found ally. At this point, every UCR is gonna die to the world of NPO hurt about to come. Have fun on the bandwagon-lol. Lalop wrote: At this point, every UCR is gonna die to the world of NPO hurt about to come. Thank you for the wonderful illustration of why the war is necessary. Oh this is all so exciting! All these regions I'd forgotten existed joining the party. NPO dewenda est ;;w;; !! Myrth wrote: Oh this is all so exciting! All these regions I'd forgotten existed joining the party. Memory going in your old age Myrth? Last edited by The Derpy Democratic Republic Of Herp on Wed Nov 28, 2018 6:51 pm, edited 2 times in total. God damnit. First thought that popped into my head seeing this was "Put NSGP in Smash you cowards!" which makes even less sense than most of the "Put <thing> in Smash" memes already do. Last edited by Reploid Productions on Wed Nov 28, 2018 7:01 pm, edited 1 time in total. Super Smash Bros? That'd be awesome! Perhaps we could settle this war with another game, if terms could be agreed upon. NSGP confirmed for Smash DLC. 1. The NPO can't touch any of the UCRs opposing them. They're UCRs. They have founders. If anything, this war is virtually entirely defensive in nature for the NPO. So, I'm not sure what makes you think these UCRs, some of which have existed for years, are suddenly going to die. 2. You're a Userite in a largely insignificant UCR. You can fly the NPO flag all you want but you're not one of them. Their "right idea", as you put it, is that you are "userite scum". If anything, you're a useful "Uncle Tom" to them, as it were. The "Good Userite". They're also very unlikely to ally with your region any time soon, unless they're really that desperate. Considering all of their previous allies have defected or cut off ties with them, they might actually be that desperate, tbh. Last edited by Sahansahiye Iran on Wed Nov 28, 2018 9:26 pm, edited 1 time in total. User formerly known as United Islamic Commonwealth and al-Ismailiyya. Also known as Khosrow, Zarhust, or Lanian Empire. a nation that is hostile to the New Pacific Order, Francoism, or Game Created Regions in general. Any nation that is supportive of the NPO, or largely indifferent to it, is defined as either an Auxiliary or one of the Inert. A surprise to be sure, but a welcome one. Lalop is free to support whomever he chooses, just as everyone else is free to virtue signal on hating the New Pacific Order. Last edited by Jar Wattinree on Wed Nov 28, 2018 9:35 pm, edited 1 time in total. Last edited by Lord Dominator on Wed Nov 28, 2018 10:38 pm, edited 1 time in total.